It’s time to discover the Mid-Coast’s most hands-on pet care! At Paw Print Pet Lodge your furry friend will enjoy the individualized, one-on-one care with our loving staff that makes their stay a special vacation of their own. Whether it’s Nature Walks, tummy rubs, or just all-around spoiling, your pet can enjoy their stay to the fullest! Our dog lodging offers many opportunities for your dog to romp and play and our cat lodging offers purr-fect accommodations for the discriminating feline. We can also accommodate exotic pets; please call for details. 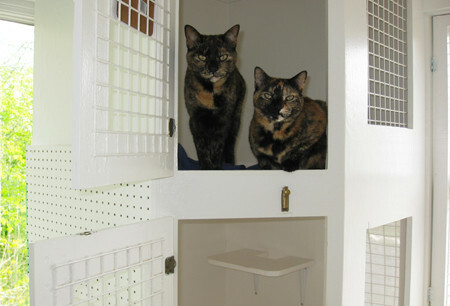 Although you’re pet will instantly know they are going to have a great stay, you can ease your mind knowing that Paw Print Pet Lodge is not only recommended by several local veterinarians, but is used by several veterinarians as well! 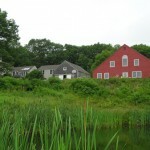 Nestled in the shadow of Hatchet Mountain, and bordering the still waters of Mansfield Pond, Paw Print Pet Lodge offers the ideal country get away for your furry friend. Our unique, all-indoor lodge provides year-round comfort and accessibility for our guests and the serene setting is an ideal vacation spot for your dog or cat. Surrounded by nature, we offer a calming alternative for your pet. 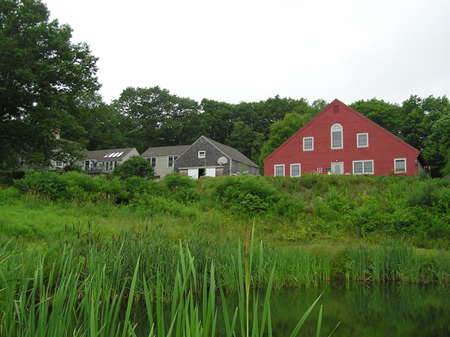 We are conveniently located to provide dog boarding and cat boarding for areas such as Camden, Rockland, Rockport, Lincolnville, Appleton and Hope. However, many of our customers travel from much further, including Edgecomb, Augusta, and even as far as Bath! 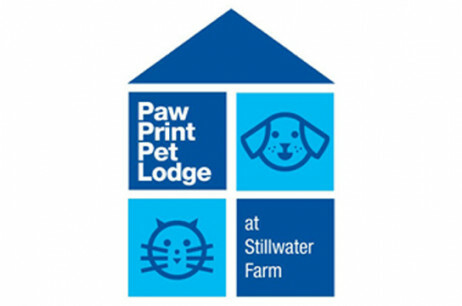 Paw Print Pet Lodge offers many activities, services and comforts to make your pet’s stay the best! Nature Walks, playtimes, beauty services and a variety of amenities are just some of the things designed to thrill our four-legged guests. You can spoil your pet with gourmet treats, exercises, tummy rubs, or even breakfast in bed! 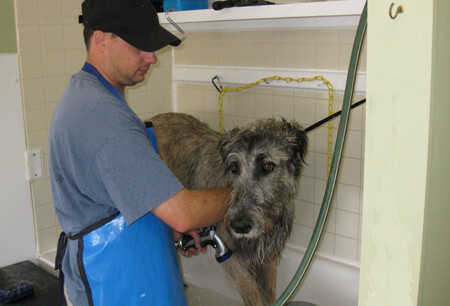 Why not pick up your fur ball freshly bathed, brushed and trimmed with our grooming services? 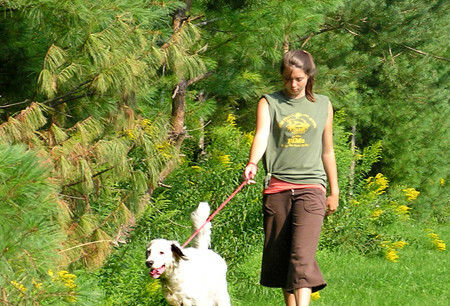 The staff at Paw Print Pet Lodge is dedicated to giving your pet as good a vacation as yours!